This made my morning. You gotta love those Aussies. They have such a great sense of humor. Go Girls! 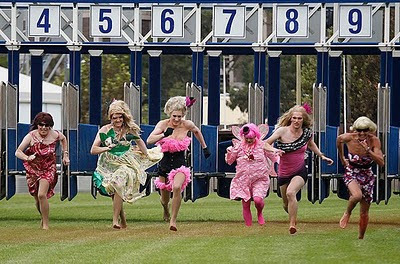 Drag Queens race on the main straight of the Randwick Horse racing course during the Pink Stiletto race day in Sydney, Australia.